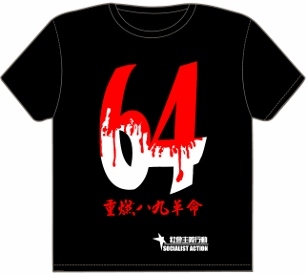 The Taiwanese government is whipping up anti-Filipino sentiment in the wake of the fatal shooting of a Taiwanese fisherman on May 9 by the Philippine coast guard. Filipino migrant workers in Taiwan are already bearing the brunt of the diplomatic fallout. The past few days have seen angry protests outside the Philippines’ unofficial ‘embassy’ in Taipei and – most alarmingly – a number of vicious street attacks on migrant workers. The handling of the crisis by both governments has inflamed the situation. Many people are dissatisfied and angered by the Aquino government’s description of the shooting incident as “unintended” when in fact the Taiwanese fishing boat sustained 45 bullet holes and it seems miraculous that the loss of life was not greater. At the same time, Taiwan’s Kuomintang administration under the deeply unpopular president Ma Ying-jeou (with an approval rating of just 14 percent) has clearly seized upon this issue both to strengthen its hand in territorial disputes in the South China Sea and to lift its popularity at home using nationalism and racism. The decision by Taiwan to stage military exercises in the Bashi channel, an area claimed by both sides, is clearly designed to further crank up national tensions. “The [military drill] is aimed to highlight our determination to safeguard sovereignty,” said a spokesman for Taiwan’s navy. The Philippine government issued an apology on May 15 for the shooting of 65-year old fisherman Hung Shih-cheng, but the Taiwanese government rejected this as insufficiently sincere. It expelled the Manila representative in Taipei, recalled its own representative and launched sanctions against the country. These include a total halt to processing migrant worker visas from the Philippines, discouraging travel to the Philippines (a so-called ‘red alert’), suspension of scientific cooperation, and the aforementioned military exercise. 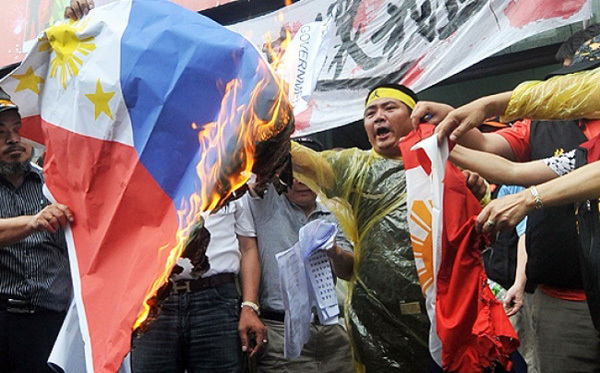 This increase in tensions has inevitably stoked nationalism and racism in Taiwan against Filipinos as a whole. An ultimatum issued to the Philippine government demanded a formal (i.e. governmental) apology over the killing of Hung Shih-cheng, compensation for his family, and for the coastguard officer responsible for the shooting to be handed over to Taiwanese jurisdiction. Political factors and issues of prestige have conditioned both governments’ response. Mid-term elections in the Philippines on 13 May delayed an apology that could have been better received had it come sooner. The complexities of the ‘One China’ policy under which the Philippine government does not have formal state-to-state relations with Taiwan meant that its apology lacked gravitas in the eyes of the Taiwan government. Manila’s apology was worded on behalf of “the people” of the Philippines rather than its “government”. This incensed Taiwan’s rulers and is now used to justify its sanctions, which impact on working people rather than the Filipino ruling elite. The Aquino government’s observance of the ‘one China policy’ has not induced the mainland Chinese media to go easy on the Philippines for its behaviour. In offering the hand of ‘solidarity’ to Taipei the mainland Chinese dictatorship has its own agenda, both in relation to the cross-strait issue (China and Taiwan) and the multinational dogfight over resources in the South China Sea (involving China, Taiwan, Philippines, Vietnam and others). Right-wing nationalist politicians in the Philippines have been quick to denounce Taiwan as ‘Beijing’s proxy’ in the South China Sea territorial dispute. The May 9 shooting therefore falls into a broader context of the regions’ complicated and escalating maritime disputes. The South China Sea is a key focus of US imperialism’s ‘rebalancing’ towards Asia, which aims primarily to check China’s growing power. Washington is now lamenting the current diplomatic standoff between two of its key allies, the Philippines and Taiwan, but this shows how its actions are stirring up a hornet’s nest. Under US prodding all governments are building up their naval forces (while claiming insufficient funds for spending on schools, pensions and healthcare) and increasingly using fishing fleets as a tool of foreign policy. This is demonstrated by the arrest of a Taiwanese fishing crew by Japanese coast guards last week for ‘trespassing’ in another disputed area that both governments claim as ‘theirs’. This incident is especially embarrassing for Taipei coming after it signed an accord over fishing rights near the Diaoyu/Senkaku islands with the Japanese government on April 10. This deal drew the ire of Beijing, which dismisses both governments’ claims to the islands and is locked in a protracted conflict with Japan over the issue. Incidents like the tragic shooting of May 9 were therefore bound to happen at some point, based on the heightened tensions generated by the regional power struggle between moneyed elites. Socialists oppose the increased harassment and threats to the safety of fishing crews of all nationalities, which is driven in part by the regional power struggle, but also by the serious depletion of fishing stocks (a result of over-fishing and of climate change with the warming and acidification of the oceans). This has led to sharper competition, forcing fishing crews to travel further afield and take greater risks including illegal activity. The output of Taiwan’s fishing industry, the world’s sixth largest, has decreased from 773,000 tonnes in 2001 to 688,000 tonnes in 2010. On winning power in 2008, President Ma vowed to restore the industry’s flagging fortunes but has failed to arrest the decline. These issues can only be solved through a multinational planning mechanism for the ocean’s finite resources along with urgent action to avert catastrophic climate change – a task we cannot entrust to capitalist governments whose profit lust has shipwrecked even modest attempts at international agreements. The South China Sea with its uninhabited islands should be a regional maritime commons administered jointly and democratically by the peoples of the region. Socialists demand the demilitarisation of the disputed areas and oppose the military build-up of all the regions’ governments. Workers in the fisheries industry must respond to the growing dangers they face by organising and building international links, to reach a collective and democratic solution, in struggle against the capitalist governments and economic interests that are vying for control of the disputed waters. Only a struggle for socialism and working class control over economic production can offer a way out of crisis. 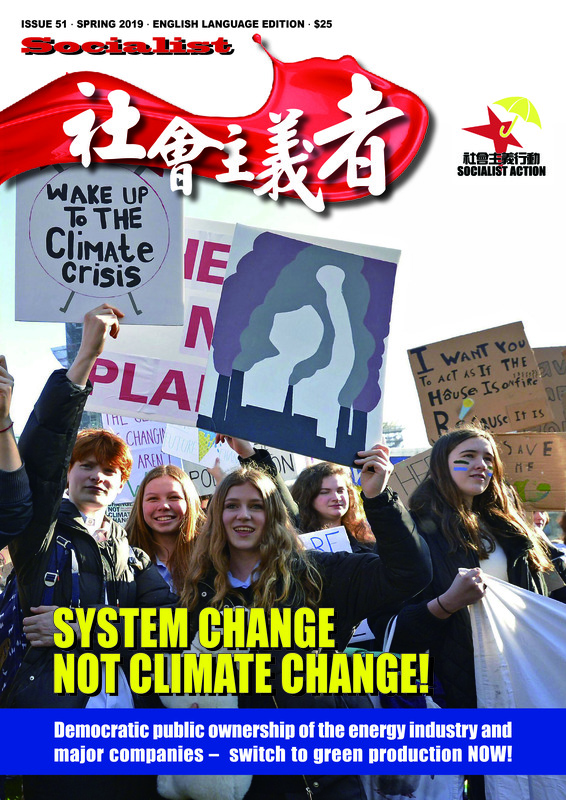 In Taiwan all the capitalist parties – government and opposition – have latched onto this incident to inflate their nationalist credentials and distract from their attacks on workers’ rights. In recent weeks elderly hunger strikers camping outside the Council of Labour Affairs have embarrassed the government, and tens of thousands of workers have taken to the streets to protest corruption and attacks on pensions. For the ruling class in Taiwan racial tension is a useful distraction. Migrant workers are among of the biggest victims of Taiwanese capitalism. They have no job security, poor wages and conditions, and in times like this are targets of people’s misdirected anger at ever-decreasing living conditions. The media has reported restaurants refusing to serve Filipinos, as well as many employers firing migrant workers. In one example an employer imprisoned a migrant worker in a toilet as ‘punishment’ for their government’s actions. The roughly 88,000 Filipino workers in Taiwan are truly in a desperate situation this week. In the past few days labour hire companies have issued warnings to Filipino workers to only go outside if necessary and not to go anywhere near fishing villages. 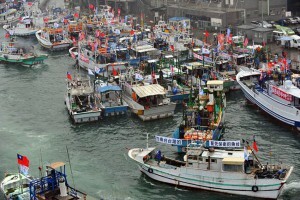 This will prove difficult for some given the fact that many Filipino migrant workers work on Taiwanese fishing boats. A recent report from TIWA – the Taiwan International Workers Association – revealed that the government had allowed fishing bosses to cut labour costs by hiring over 7,000 Indonesian and Filipino fishermen since 1992. The government’s sudden passion to ‘defend’ the wellbeing of Taiwanese fishermen should therefore be seen as so much hypocrisy when it has been undermining their wages and working conditions for over twenty years! Just days ago unionised migrant workers marched with the hunger strikers in support of their struggle. Images of migrant workers pushing starving hunger strikers in wheelchairs during their protest march to Taoyuan were a promising hint towards the sort of unity the working class needs. The government’s despicable games are an attempt to smash this unity. Some labour movement commentators have tried to point out that a ban on migrant workers from the Philippines is a useless weapon against Manila because Taiwan only accepts a very small percentage of the total number of Filipino migrant workers in the world. This argument completely misunderstands why the government is behaving in this way. Socialists reject all nationalist arguments that retaliatory measures against the Filipino people are necessary or in the interests of working people in Taiwan. We support the right to compensation for Hung’s family and for an independent investigation into the events of May 9, which should include representatives of Taiwan’s fishermen but also of workers’ organisations in the Philippines. Without a doubt the Taiwanese ruling class is using this tragedy and the upsurge in nationalist feelings to ram through its attacks on workers. This is a clear example of how racism and nationalism is used by the ruling class to divide and conquer. Only together will workers – Taiwanese, Filipino and others – be able to force back bosses and the government, change society and improve their living conditions. It is imperative that unions and the small forces of the left in Taiwan take up this question. Purely moral objections to racism are not enough to win the argument and defeat the government strategy to divide workers. We need to build a united struggle of workers against racism and capitalist exploitation and for jobs, homes and services for all.